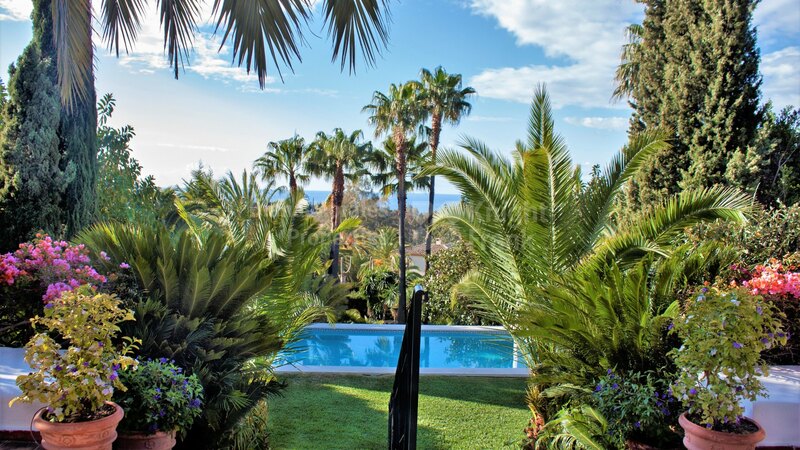 Please, send me more information about ref DM4218 in Marbella Hill Club, Marbella Golden Mile or similar properties. 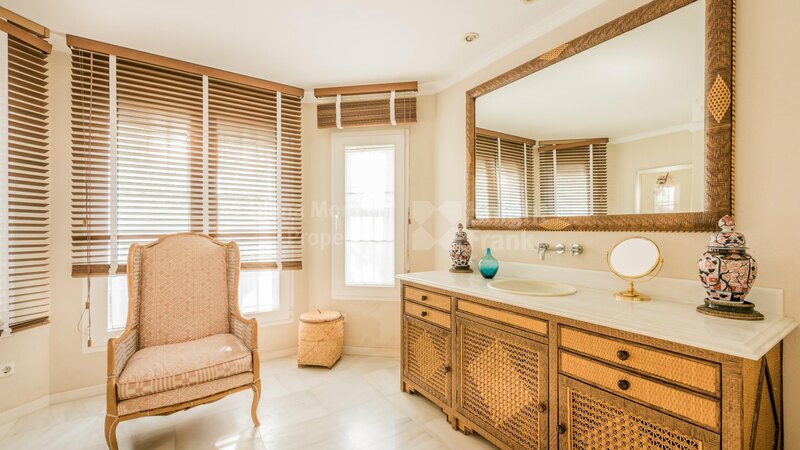 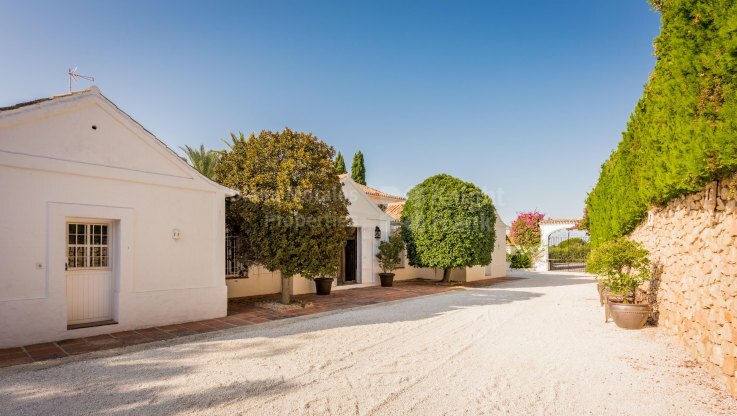 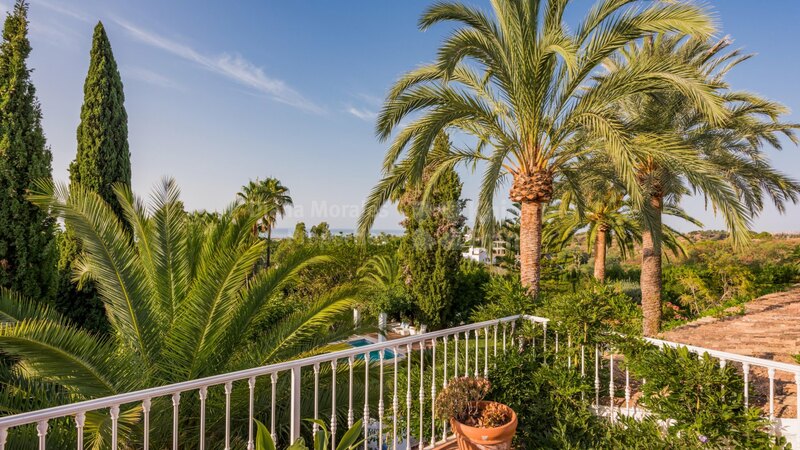 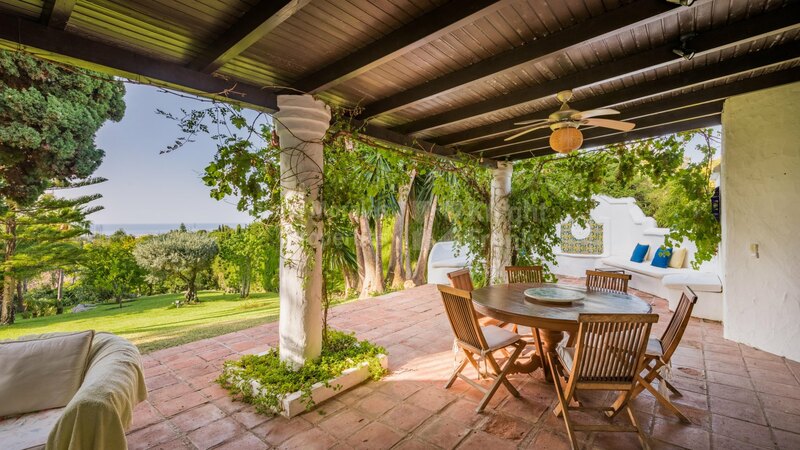 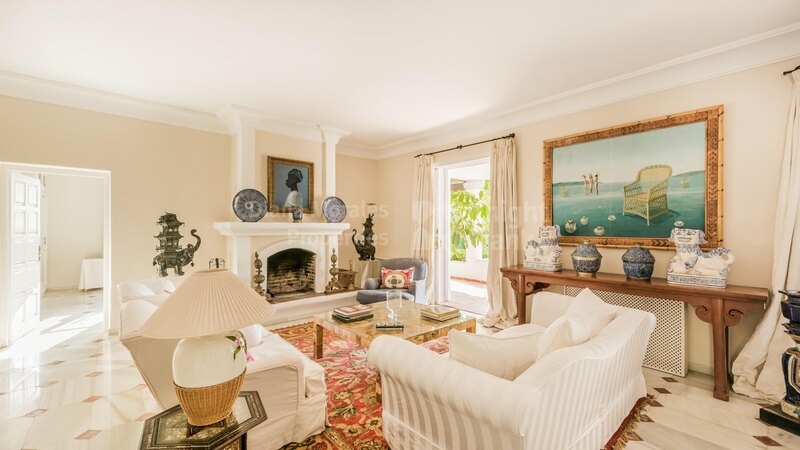 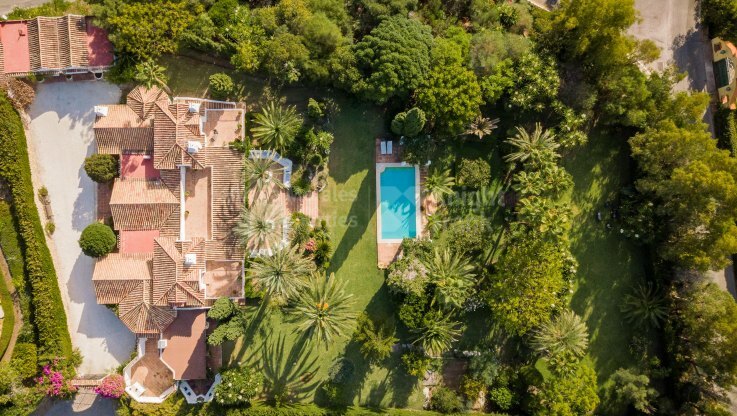 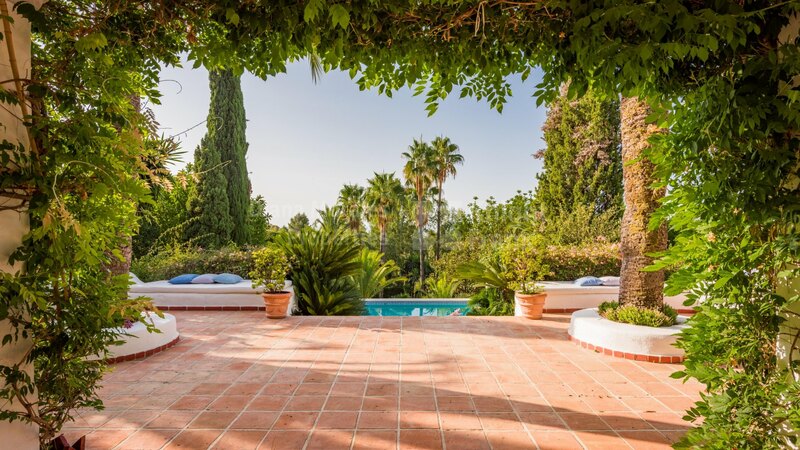 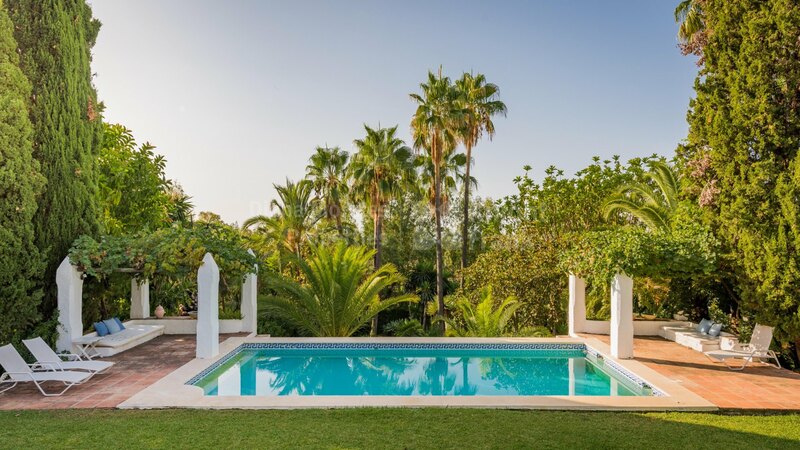 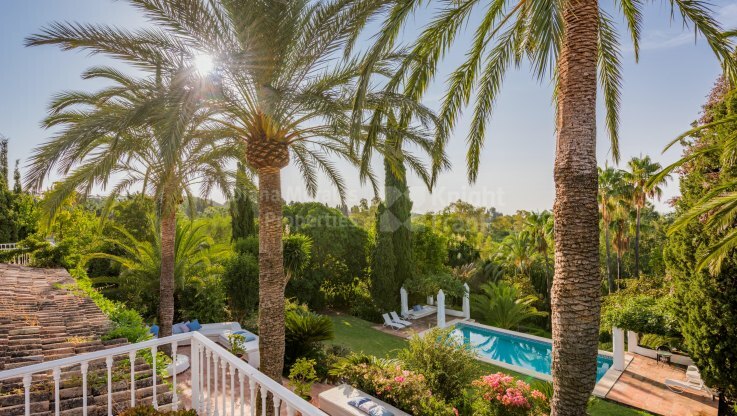 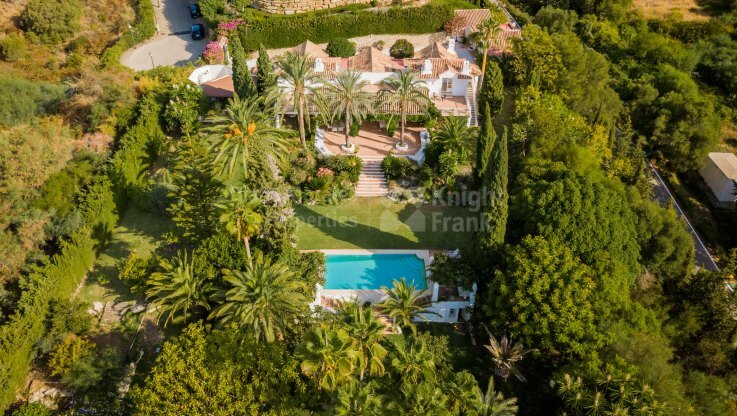 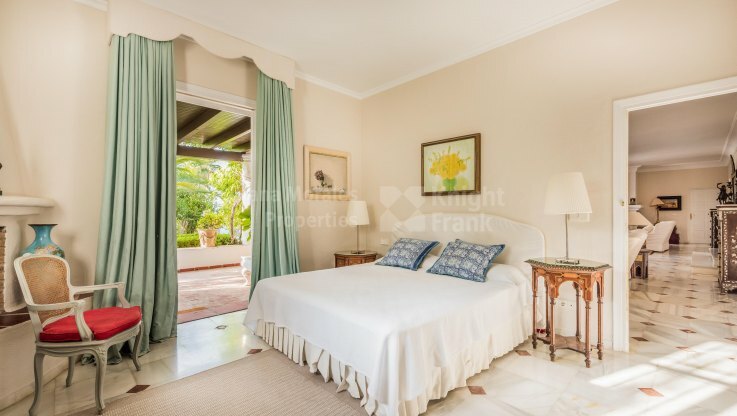 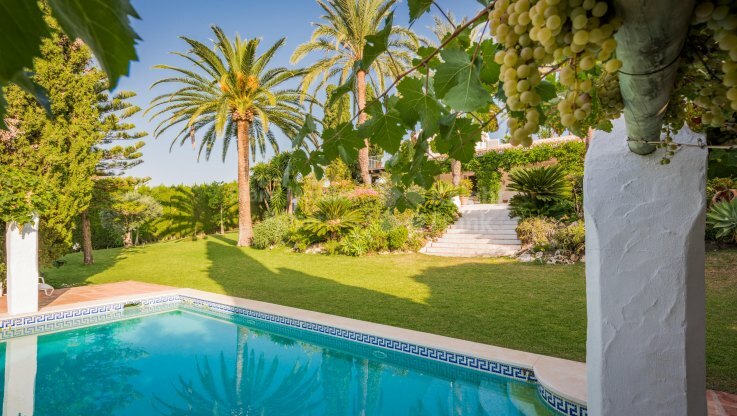 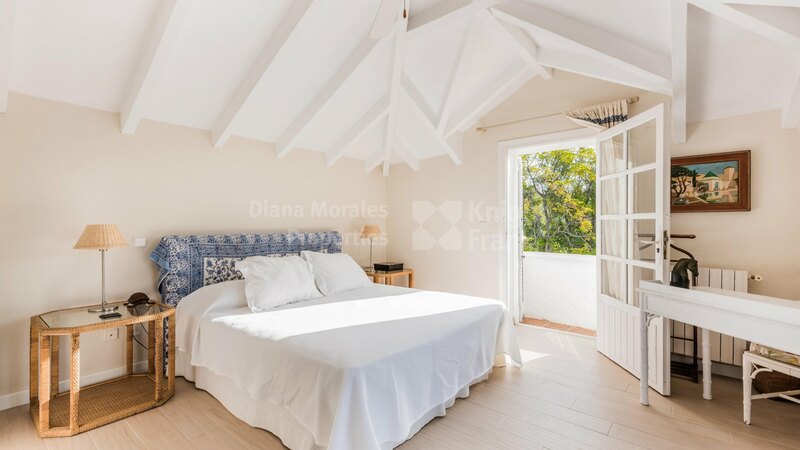 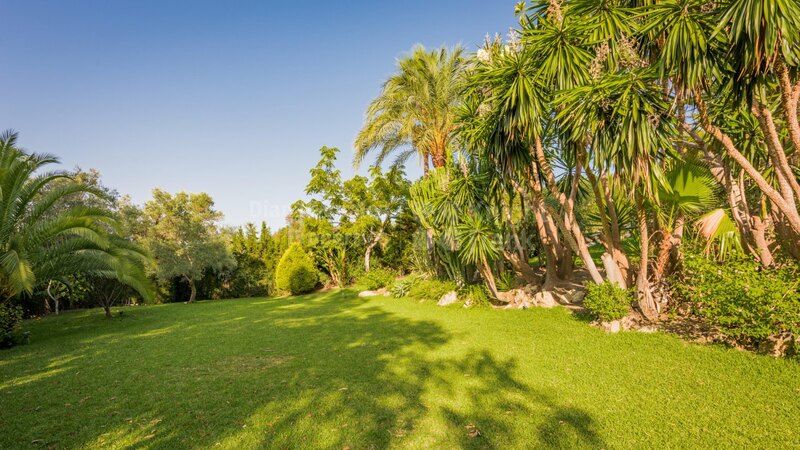 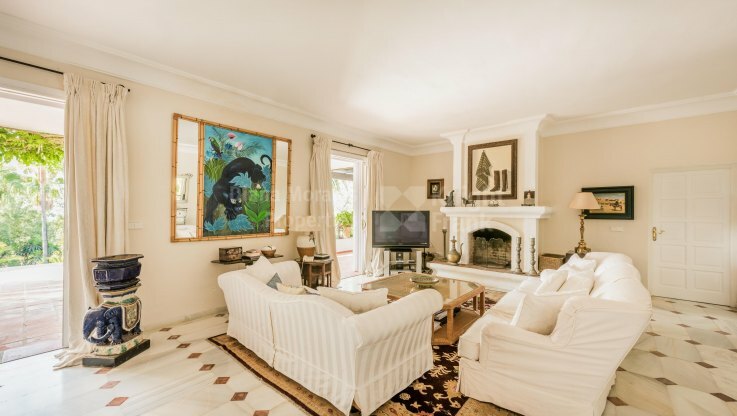 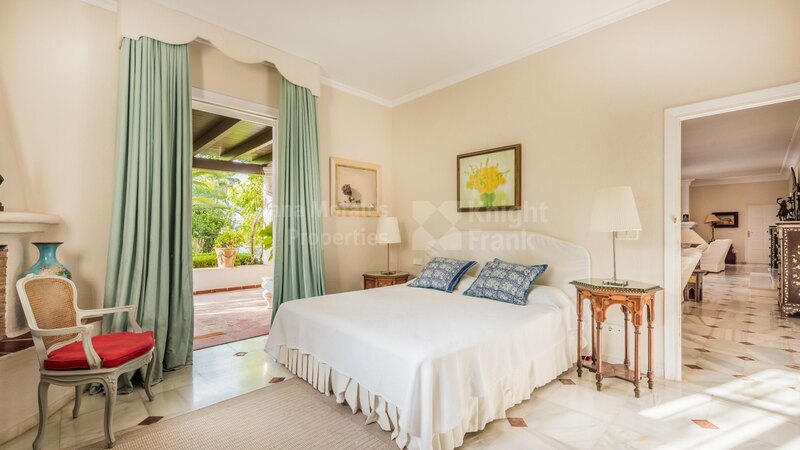 A true jewel of the Marbella traditional architecture enjoying an elevated position between Marbella Town and Puerto Banús, with beautiful mature gardens of around 5.000sqm and fantastic sea and mountain views. 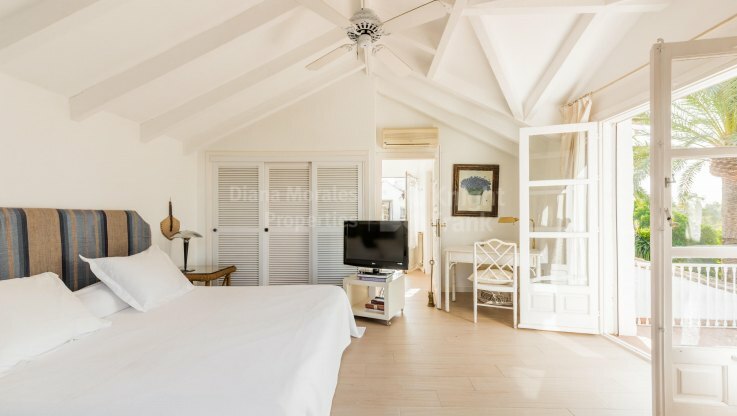 This elegant home is south orientated with generous accommodation and natural light and it stands out thanks to its impeccable construction qualities and its lovely features. 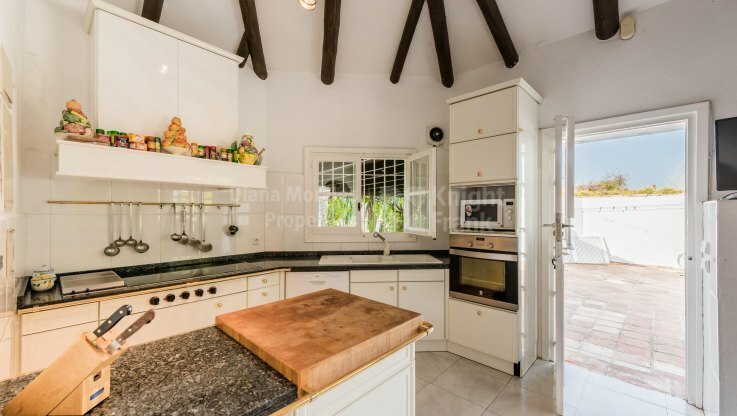 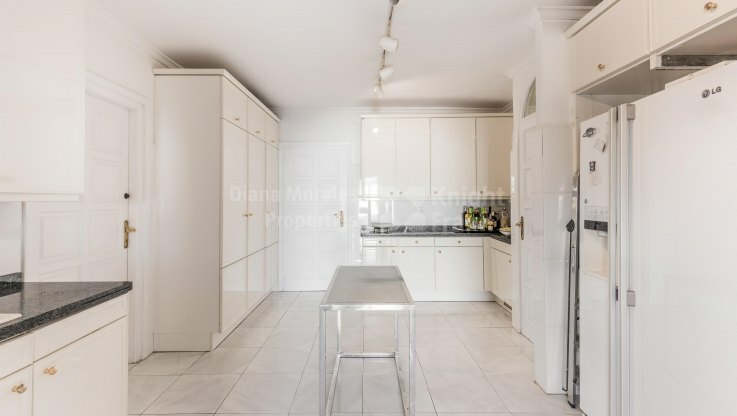 The reception area, with high vaulted ceilings and wooden beams, leads through to the large kitchen, fitted in white wood, with marble floors, breakfast area with beam ceilings and access to a covered terrace and an adjacent laundry room. This charming entrance hall also leads to the living room with marble floors, two fireplaces and high windows and doors with access out to a covered terrace. Further along we will find the dining room close to the kitchen. 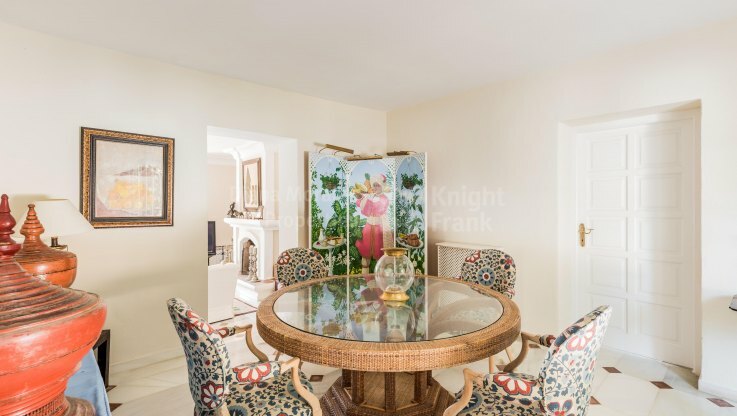 There is potential to extend to a larger dining room, which is currently being used as an office and library. 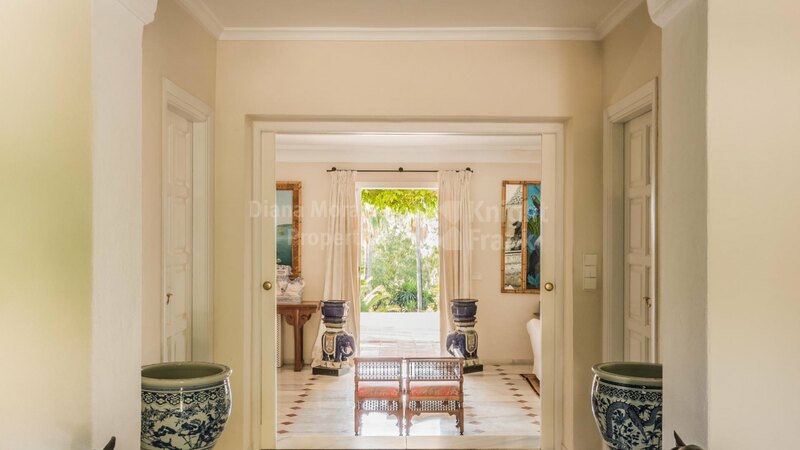 To the left of the entrance hall we will see a guest ensuite bedroom and to the right the master suite with fireplace, private terrace and marble bathroom. 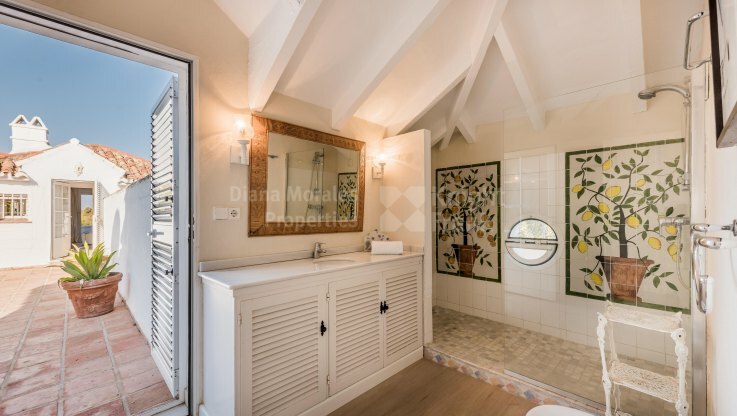 The upper level of the house hosts two more bedrooms with ensuite bathrooms, one on each side of this level, which are accessed from outside the property. 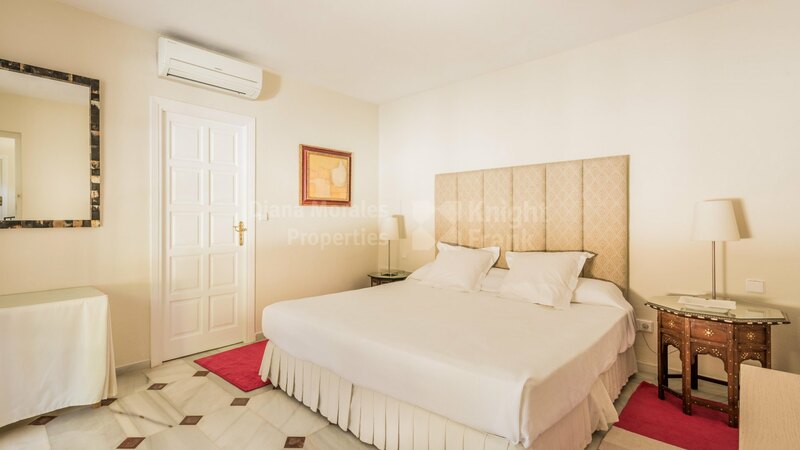 In addition, the villa offers independent maid’s quarters with kitchen, living room and two bedrooms, one of them ensuite. It is equipped with alarm system, Wi-Fi, gas heating, A/C and garage for two cars. 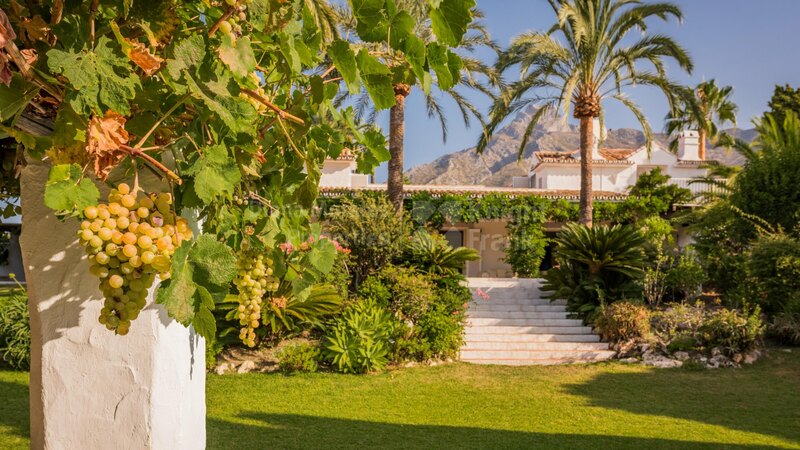 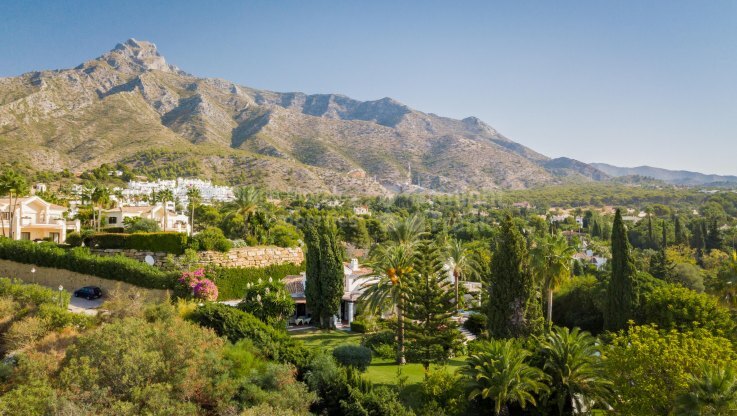 Situated just below the foot slopes of La Concha Mountain, the Marbella Hill Club is the western extension of the exclusive residential areas that run along the base of said mountain. 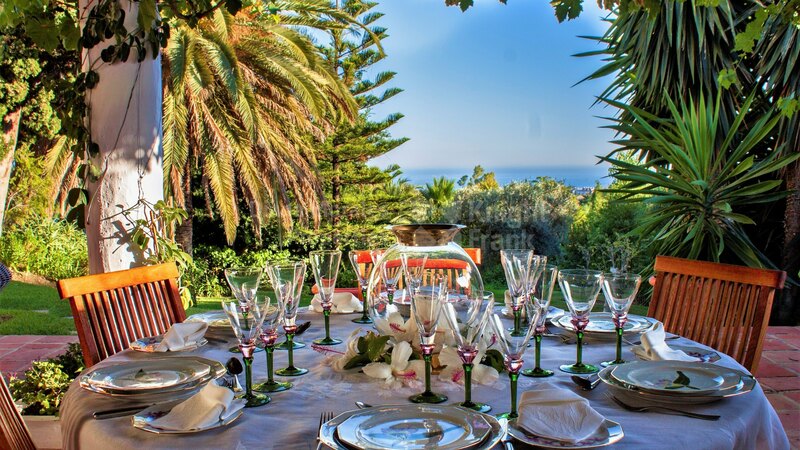 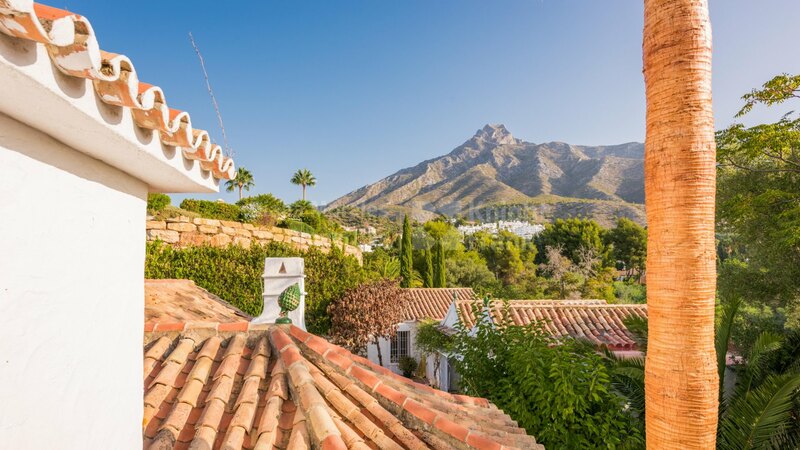 In other words, it lies just west of Sierra Blanca and right below the towering peak of La Concha, overlooking Marbella and the entire coastal region from a perspective that offers an impressive panoramic spectacle.